Forget images of remote islands - Orkney is well served by superb modern transport links. Forget the idea of a few people in the middle of no-where - Orkney is home to over 20,000 people. Orkney may bring to mind certain images, but the chances are they are, to say the least, a little off the mark. Sure, we're a bit off the beaten track, but the needs of our community are just the same as anywhere else. And, as a result, the opportunities we can offer you are comparable with those you'll find elsewhere. Of course, there are a few differences: for starters Orkney consists of 100,000 hectares spread over 70+ small islands (19 of which are inhabited), so, like our service users, you'll need to make the most of the transportation links which are vital to Orkney's social and economic well-being. Orkney Islands Council may be the smallest local authority in Scotland, but we can offer some big challenges. And big opportunities. This could be your big chance to make the move, and make a difference. 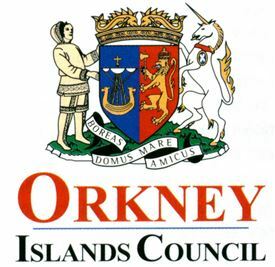 Get the latest jobs from Orkney Islands Council sent direct to your inbox!